Add beef broth, tomatoes, carrots, potatoes, onion, celery, salt, pepper, and dried oregano to the pot, then stir. Bring to a boil, then reduce heat to simmer. Bring to a boil, then reduce heat to simmer.... Make Sauce: Add soy sauce, 1/4 cup + 2 tablespoons beef broth, oyster sauce, sesame oil (if using), ground ginger, black pepper, garlic powder, a pinch of Kosher salt, and a pinch of Cayenne pepper to a measuring pitcher and stir to combine. Stir together the water and corn starch to make a slurry and whisk into the broth. Lower heat so that it simmers and thickens for a few minutes. Lower heat so that it simmers and thickens for a few minutes. Make sure the sauce covers at least partially the beef, so t won�t dry out. Label with the date, and freeze for up to 3-4 months, or longer if you use a deep freezer. Label with the date, and freeze for up to 3-4 months, or longer if you use a deep freezer. 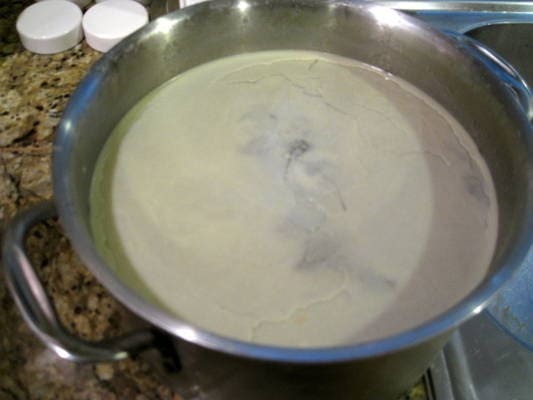 1/02/2016�� Optional: To thicken stew: Make a slurry by whisking 2 tablespoons of flour (all purpose, cornstarch, gluten free flour or arrowroot powder) with 3 tablespoons of cool water. 20-30 minutes before serving, stir the slurry into the slow cooker, set to HIGH.